Home » collection , event , german , missions , new year , news , premium , Prinz Eitel Friedrich , stats , update , world of warships » World of Warships: Prinz Eitel Friedrich: Winter Event, Campaign and Rewards! World of Warships: Prinz Eitel Friedrich: Winter Event, Campaign and Rewards! 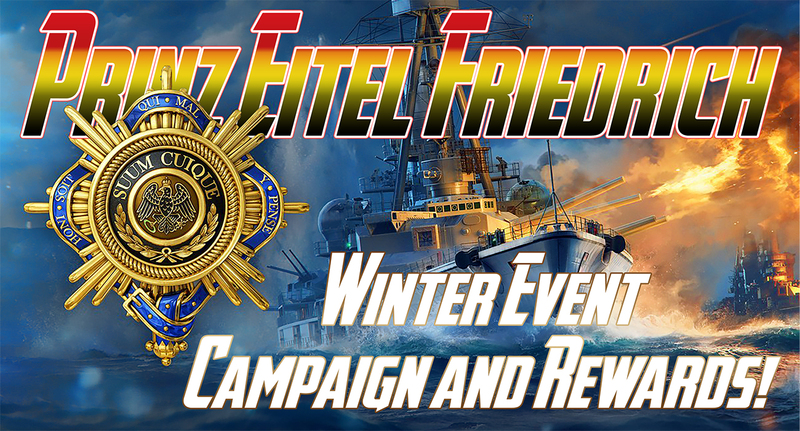 Prinz Eitel Friedrich: Winter Event, Campaign and Rewards! The new German Tier VI battleship Prinz Eitel Friedrich belonged to the Mackensen-class. Named after one of the sons of Wilhelm II, King of Prussia, she was one of the last battlecruisers laid down during World War I.
VI Prinz Eitel Friedrich is a battleship that boasts reliable armor and an effective secondary battery armament. The ship carries eight 350 mm main guns arranged in four turrets. With an appropriate choice of upgrades and Commander skills, the ship can be adjusted to fearlessly face practically any hostile ship. Earn Prinz Eitel Friedrich: You can get the ship as a reward for completing all Directives of the "In the Name of His Highness!" event that kicks off on December 20 and lasts for five weeks. The event will be accompanied by the launch of the "Mighty Prinz" Campaign, that will only be accessible to owners of battleship Prinz Eitel Friedrich. The Campaign puts the ship in spotlight and provides you with an opportunity to earn containers from the "Belle Époque" collection as well as five researchable Tier VI ships with accompanying permanent camouflages. Buy Prinz Eitel Friedrich: Don't feel like waiting several weeks until all the Directives of the event open up? 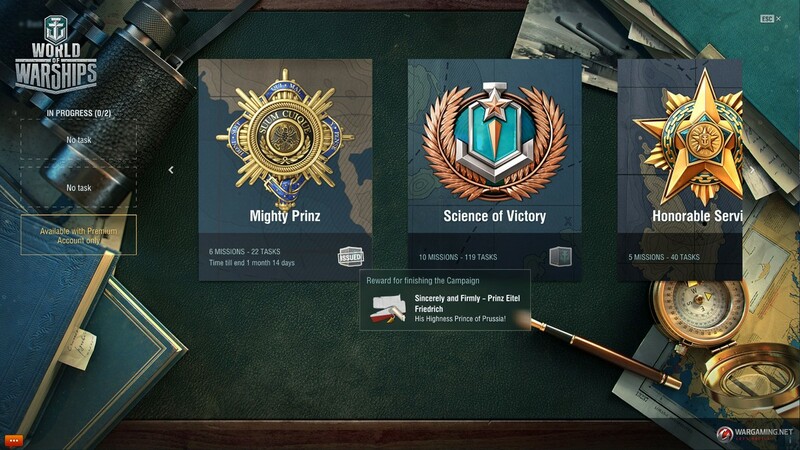 There will be some juicy bundles waiting for you in the Premium Shop, including a special bundle with access to a new type of campaign called "Steel Monsters" which, once completed, lands a tidy reward of 4,000 Steel. Update 0.7.12 welcomes you with a new in-game event called "In the Name of His Highness!" that is scheduled to last for five weeks. 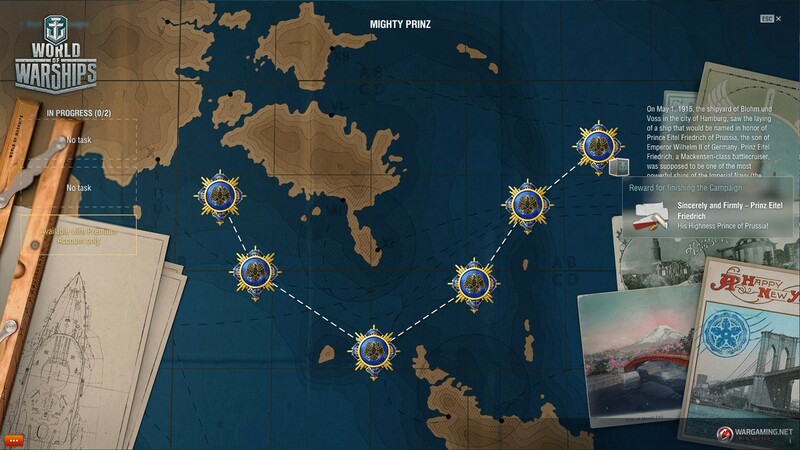 The rules of this event will be similar to the rules of the "Royal Navy" Campaign, but this time it will contain one Stage and four Directives, each offering 10 to 11 combat missions. All available combat missions can be undertaken simultaneously. The next Directive will become available upon the completion of six combat missions, but not before its scheduled start date. The "In the Name of His Highness!" event will be available for players who reached Level 12 in their Service Record, and who are at the helm of Tier V or higher ships in Random, Co-op and Ranked Battles. On Day 1 of the event, only the first Directive will be available. The second one will open up a week later, and so on. The fourth Directive will remain open for two weeks with all combat missions available until the end of the event. This means you can enter the game even during the fourth week and still be able to complete all available combat missions. But please keep in mind that each Directive is more difficult than the preceding one. So, plan your time wisely so as not to miss your chance to acquire Prinz Eitel Friedrich! The final Directive is comprised of 11 combat missions, each to be completed with ships of a specified nationality only. By successfully progressing through the combat missions of the event, you can get up to 15 containers from the "Belle Époque" collection, three Santa’s Gift containers and as much as 2,000 Steel! The ultimate reward of the event is German Tier VI battleship Prinz Eitel Friedrich. The ship is awarded for completing the fourth Directive, which becomes available only after you have completed the preceding three. If you already have Prinz Eitel Friedrich in your Port, you will receive 6,800 doubloons as compensation. 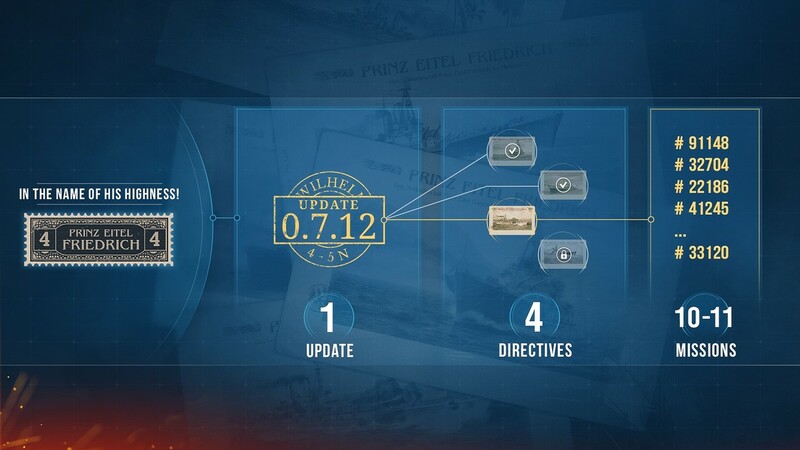 In accord with a good old New Year's tradition celebrated in World of Warships, Update 0.7.12 will usher in a new Campaign. This year, it will be a temporary festive campaign called "Mighty Prinz" where the first combat mission is assigned exclusively to battleship Prinz Eitel Friedrich. Please note that the task of the first combat mission in the "Mighty Prinz" campaign will only be accessible with battleship Prinz Eitel Friedrich. 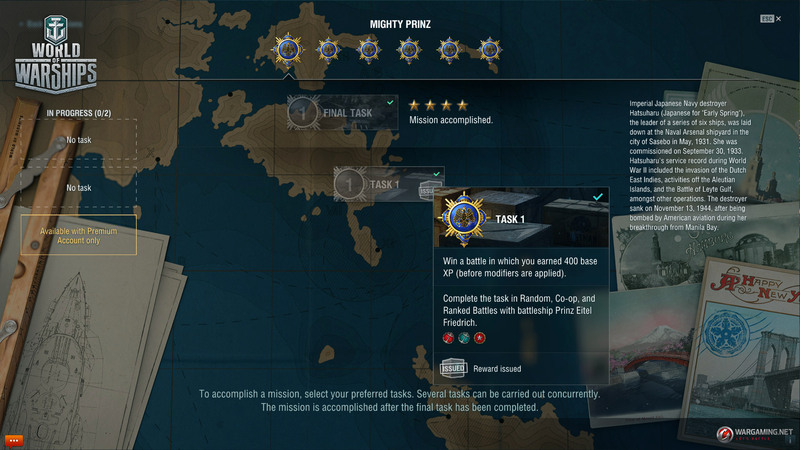 The remaining part of the campaign can be completed with Tier VI or higher ships in Random and Ranked Battles. Some of the tasks can be completed in Clan and Co-op Battles. The campaign consists of six combat missions, each comprising up to four tasks with containers holding items from the "Belle Époque" collection as their reward. 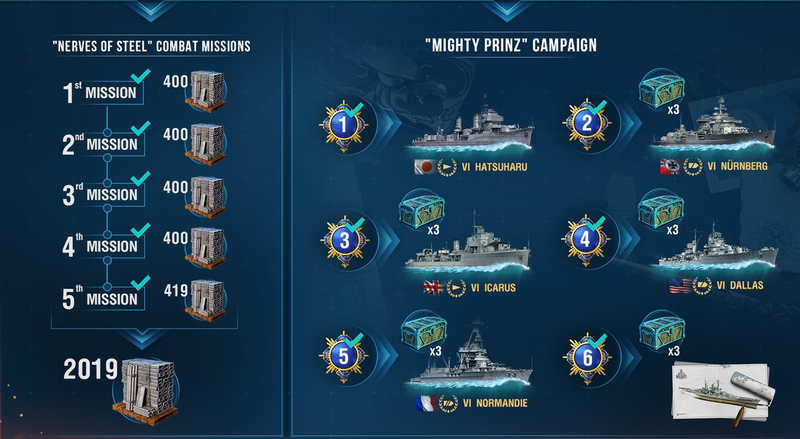 The "Mighty Prinz" campaign provides a good chance to grab five researchable Tier VI ships wearing permanent New Year camouflage patterns, free of charge. The reward for completing the final task of the last combat mission is a permanent camouflage designed specifically for Prinz Eitel Friedrich. All ships will come with a permanent New Year camouflage, Port slot and Commander with three skill points. The ships will be automatically researched in the Tech Tree in their base (standard) build, but any preceding ships that you have not researched will remain in the "unresearched" status. If you already have the above-mentioned ships in your Port, you'll get a Port slot and compensation equal to the base price of the ships, including any active discounts. If there is no vacant place in the Reserve for the newly added Commander, the Reserve will be expanded automatically. As soon as battleship Prinz Eitel Friedrich is in your port., you can get down to a series of combat missions called "Nerves of Steel". This chain consists of five combat missions that can be completed in Operations, Random, Ranked and Co-op Battles with battleship Prinz Eitel Friedrich only. 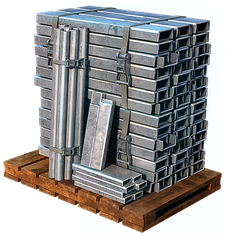 Each combat mission will bring you 400 Steel, and by completing the entire chain you'll get an extra 19 Steel, which makes it 2,019 Steel in total. In Any Amount of Battles, Gain 300 Ribbons. Available battle modes: Operations, Random, Coop, and Ranked Battles. In Any Amount of Battles, Earn 8000 Base XP. In Any Amount of Battles, Earn 30000 Total XP. In Any Amount of Battles, Cause 250,000 Damage. In Any Amount of Battles, Earn 3 Million Credits. You can complete the Combat Missions of this Chain only once, and only in the specified order. Don't feel like waiting for four weeks to complete all Combat Missions of the "In the Name of His Highness!" 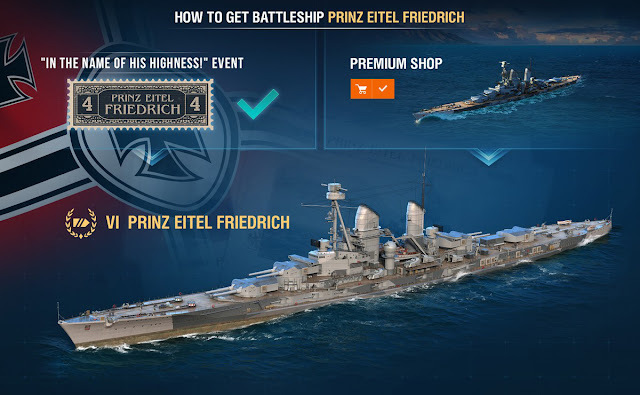 event to get your Prinz Eitel Friedrich? Don’t worry, there’s another way to get her! Drop into the Premium Shop, where you can find a variety of bundles featuring this ship, as well as a special pack with access to a campaign called "Steel Monsters". We will be covering “Steel Monsters” soon where you will be able to get even more Steel, so keep an eye on the Portal! Keep in mind that the earlier you acquire Prinz Eitel Friedrich, the sooner you'll be able to jump into the "Mighty Prinz" campaign, and the more time you'll have to earn all of the available rewards!